Happy New Year!! Can you believe that it is January already? We hope you all had a wonderful vacation. Thank you to all the parents that made snacks and gave gifts at our holiday party. We had a great time. Thank you for thinking of us during the holiday season, it was kind and generous of you. Thank you! We are ready to get back to school and get back to our daily routines. We are planning on really pushing our friends from now until the end of the year to be the best learners they can be. We will be sending out emails to those of you that have offered to volunteer. We will need ALL the help we can get, especially during our math stations, which is from 9:15-10:15. If anyone would be willing to help out during this time, please let us know. Thank you in advance. In Phonics, we learned the sight words "you" and "and", please practice these words at home. 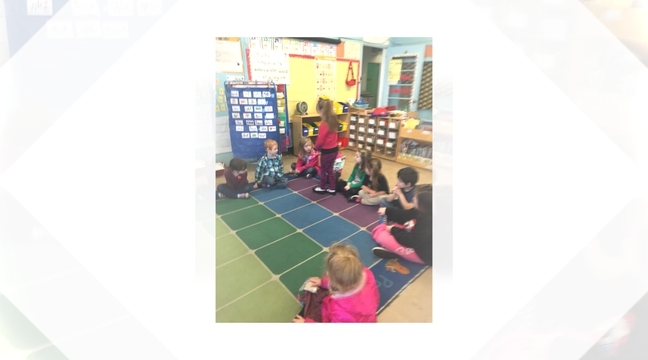 This week we practiced recognizing beginning and ending sounds, rhyming words, writing words using letter sounds, tapping out words and sounding out nonsense words. We have been playing all sorts of games to help reinforce these skills in the classroom. We sent home a set of flashcards for you to practice over vacation, we hope that your children were able to practice. In Reader's Workshop, we learned a strategy of using multiple clues when we come to a tricky word. A strategy that good readers use is to think about what we read. When we sound out the letters in the word and the word we say doesn't make sense or sound right, we will learn that we need to stop and do some reading work. We need to ask ourselves, "Does that make sense? ", "Does that sound right?" and "Do the letters match?" In Math, we continued our unit on measurement. Our focus this week was on weight. We used our balance scales and compared weight by using the words "heavier" and "lighter". The children loved using the scales on their own to practice this skill. In Social Studies, we learned about how different people celebrate holidays in December. Our traveling gingerbread man helped us learn. 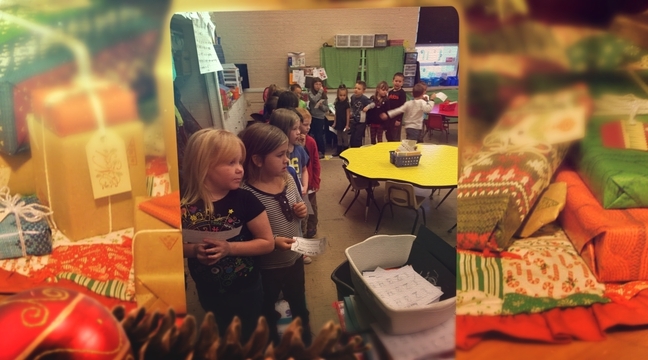 The tricky little guy sent us on a scavenger hunt around the school, we had SO much fun!! Once we found him, he read us a book and gave us gingerbread cookies. YUM! We had a great day! Santa also came to the school and gave us candy canes! 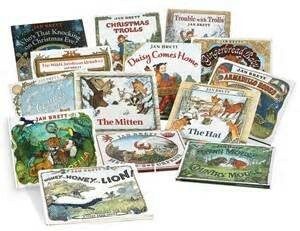 We read several fun books about Christmas. During these read alouds we practiced some of our strategies that we are learning in our retelling unit. We really focused on the story elements of fictional text. We talked about the character, setting, problem and solution to the stories that were read. 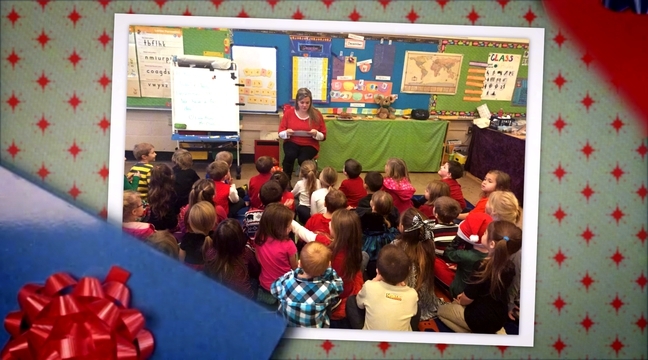 One of our favorite read alouds was The Polar Express. We boarded the train and listened to the story as I read it. We stopped throughout the story to discuss the story elements. It was a blast! Hopefully our friends are well rested and ready to LEARN, because we are going to be very busy learning in kindergarten!! In Phonics, we will review the words we have learned up until this point, please practice the new set of words that I sent out last week to practice at home. 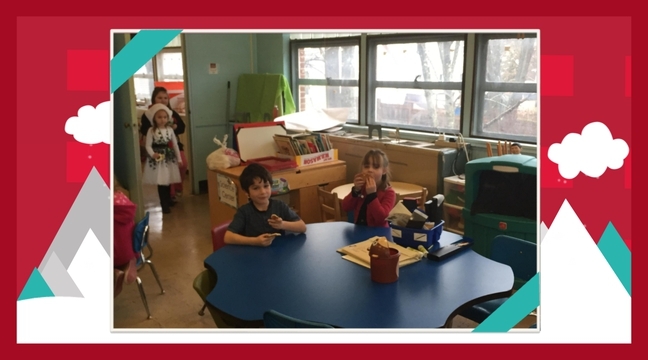 This week we will practice tapping out words and working on the correct letter formation of the letters I, J, K, L, M, N, O and P.
In Reader's Workshop, we will continue with the strategy of using multiple clues when we come to a tricky word. A strategy that good readers use is to think about what we read. When we sound out the letters in the word and the word we say doesn't make sense or sound right, we will learn that we need to stop and do some reading work. We need to ask ourselves, "Does that make sense? ", "Does that sound right?" and "Do the letters match?" Because this is a newly introduced skill, we will be working on this skill for a few weeks before we can move on. If your child masters this skill before we move on, we will work with them independently to challenge them at their level. In Math, we will finish our unit on measurement. Our focus this week will be on volume. We will compare volume by using more than, less than, or same as by pouring. We will explore conservation of volume by pouring and we will compare using same as with units. We will use the end of the week to review and will start our mid module assessment next week. In Science, we will be studying simple machines. We will read several books from Jan Brett and discuss the story elements, such as character, setting, problem and solution. 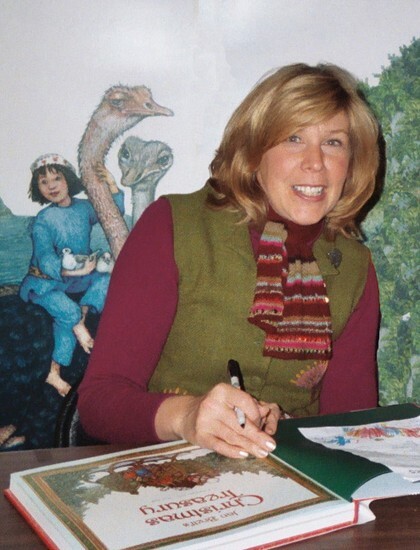 We will also use her books to help us understand prediction by using the pictures in the margins of her book.